A physical wall along the US-Mexico border would likely be a drain on federal funds. Digital technology may offer a sustainable alternative. As the White House and Congress struggle to reach an agreement that would reopen the government, the border wall has re-entered the national political discourse. In order to end the shutdown, the Administration is seeking several billion dollars to begin construction of a wall along the US-Mexico border. A border wall of the size the White House is proposing would come with a significant price tag. Estimates from various interest groups and party research arms peg the cost at $10 billion or $20 billion on the lower end and up to $70 billion on the higher end. Whatever the price of construction, the ongoing debate ignores a crucial cost: maintenance. Indeed, the physical wall — after costing billions of dollars to raise — would require considerable upkeep in order to remain effective. 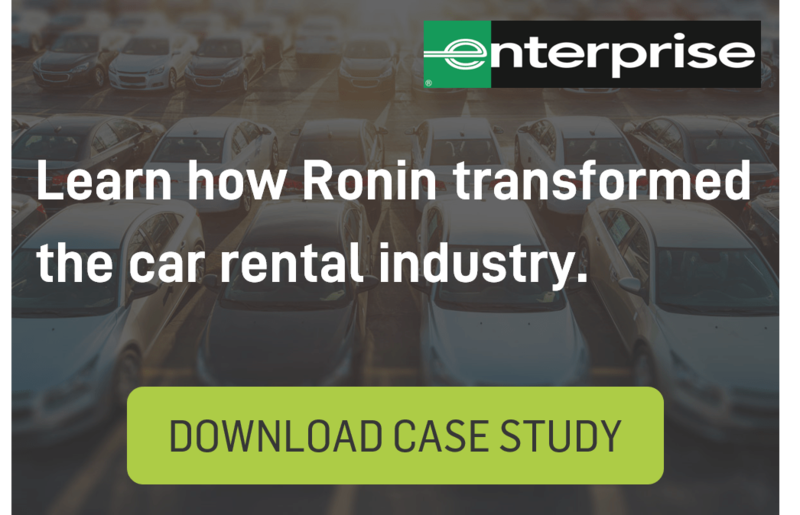 Based on historical data, Politico estimates that maintenance costs could be as high as $750 million a year. 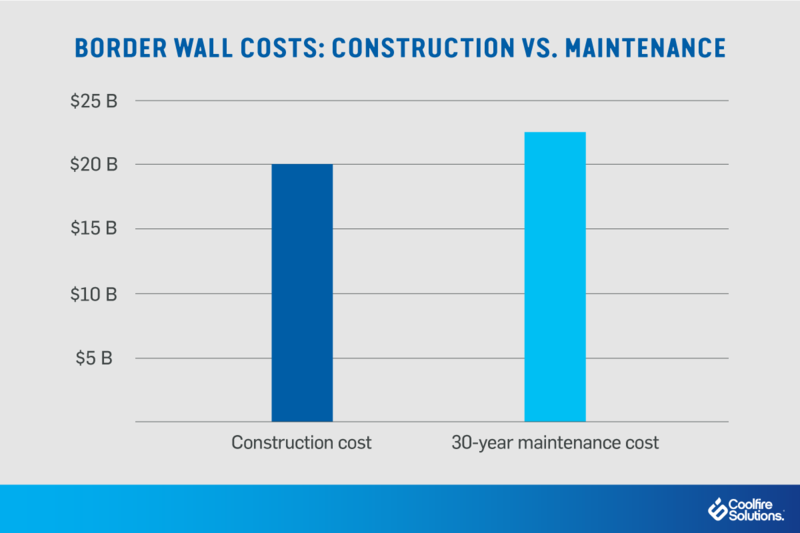 While the debate rages about the merits of a physical border wall, many politicians have come to view the maintenance costs alone as prohibitive. That is where digital technology can fit into the discussion. By leveraging emerging IoT capabilities to create a digital wall, the government can secure the border — all without needing to construct and maintain a physical barrier. To predict the costs of maintaining the proposed physical wall, we can look to the regular repairs that are needed along the fencing currently in place on the southern border. Because of the static nature of physical walls, individuals may cut through, dig under, or attempt to knock down portions of fencing, causing widespread and expensive damage. Maintaining even this limited amount of fencing doesn’t come cheap. There were 9,287 recorded breaches between 2010 and 2015, costing nearly $800 to repair each incursion. These expenses quickly add up, and a larger, more complex barrier could be an ongoing drain on the US economy. A physical wall along the US-Mexico border represents a major investment in a model of static defense that is expensive to protect and maintain. After all, the easiest defense to break is one that does not adapt to changing conditions. Plus, should the evolving climate demand upgrades to the wall, additional construction would require significant cost outlays. On the other hand, a digital wall relies on active defensive strategies to accomplish the same goals more cost-effectively — and in a way that allows authorities to adjust their tactics. Through embedded ground sensors, cameras, and infrared technology, an interconnected digital wall could keep federal agents updated on the coordinates of individuals crossing the border, as well as other valuable information. What’s more, these assets would be inexpensive to move, adjust, and update if needed — especially in comparison to a physical border wall. In the end, a digital wall could be at least as effective as a physical one, while at the same time bringing the flexibility of a troop deployment. By harnessing the power of unpredictability, authorities will be better able to thwart illegal activity. As politicians debate the proposed border wall, the primary stalemate is funding. For the physical wall to work, it has to be fully constructed — and all in one go. To do that, however, would require a huge investment in the range of $20 to $70 billion. With the Government Accountability Office recommending more information before the project moves forward, many are concerned about hastily committing federal funding to the construction and maintenance of a physical barrier. With a digital wall, this decision might be easier (and sooner) in the making. The hardware and networks necessary to deploy a digital wall could be implemented gradually, in just the locations where they’re needed most. This means that the government wouldn’t have to commit to well over a hundred million dollars a year in maintenance costs. By investing in border security that relies on smart, adaptive technology, the government can cut costs and reduce the number of illegal immigrants entering the country. A digital wall that connects sensors, cameras, and other hardware to data integration platforms could empower authorities with greater situational awareness of their areas of responsibility and allow them to act on real-time, data-driven insights. Given the current stalemate surrounding the physical wall, it may be time to consider alternatives. 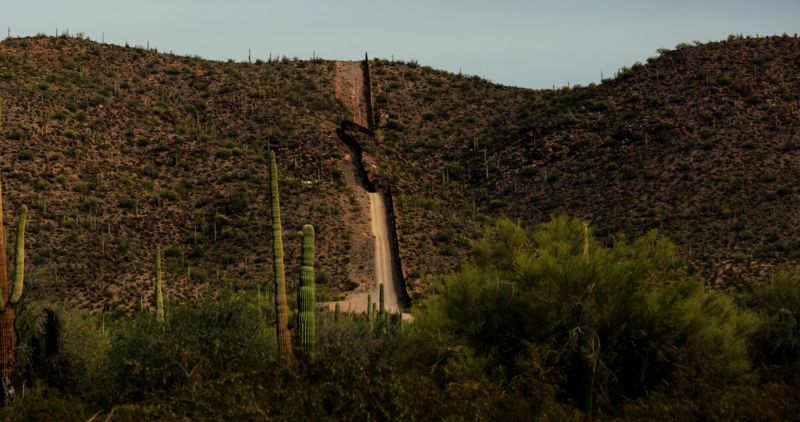 With greater flexibility and lower maintenance costs, a digital barrier could protect the US-Mexico border — without hundreds of millions of dollars in upkeep.